“The Art of Wine & Wine Tasting” is a fun educational seminar designed to expand participants’ appreciation and enjoyment of wine. 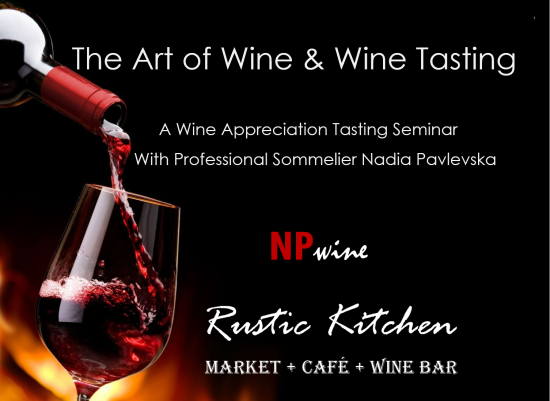 A novice, or a wine connoisseur, you will have the chance to learn something new and useful about the limitless world of wine and wine tasting in the company of like-minded people and 2 professional Sommeliers, Nadia Pavlevska and John Fanaris, the owner of Rustic Kitchen. NOTE: Light cheese & charcuterie boards included. Approximately 1 bottle of wine per person! Please do NOT drive! Event starts promptly at 3PM. Please be on time! Nadia Pavlevska is the Founder of NPwine. 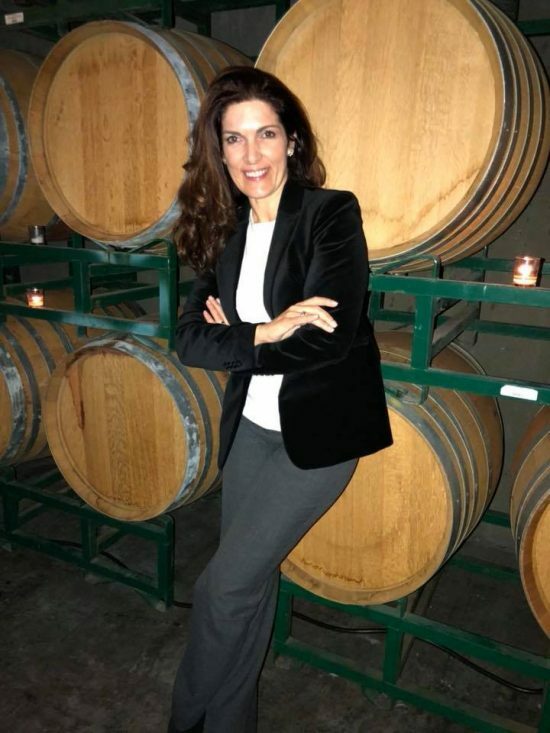 She serves as a professional wine consultant and wine educator working with private and corporate clients, non-profits, and restaurants to create wine events, educational seminars and wine programs. Nadia is a Certified Sommelier (CS) with the Court of Master Sommeliers and a Certified Specialist of Wine (CSW) with the American Society of Wine Educators. In addition, she is a French Wine Scholar (FWS) with the French Wine Society and an Italian Wine Specialist (IWS) with the North American Sommelier Association, N.A.S.A. Nadia also attended the Washington School of Protocol to become a Certified International Etiquette and Business Protocol Consultant. She is a member of of the Guild of Master Sommeliers, the French Wine Society and N.A.S.A. 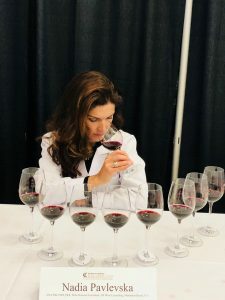 Nadia is one of the official judges of the San Francisco Chronicle Wine Competition, as well as the San Francisco International Wine Competition, The International Women’s Wine Competition, The California State Fair, and The Sonoma Harvest Fair. Nadia’s interest in wines began in her youth in her native Bulgaria. Education eventually brought her to California, where she earned a B.S. from USC’s Marshall School of Business. Prior to USC, Nadia studied at Sofia University in Bulgaria and the University of Salzburg in Austria. No Replies to "The Art of Wine and Wine Tasting April 15, 2018"